Technical women's trail tights in functional stretch fabric and with durable stretch reinforcement panels on the knees and seat. 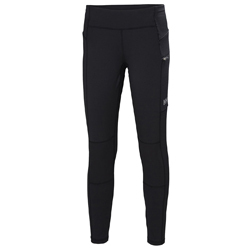 The Women's Rask Trail Tight is for the woman that wants to be fast and comfortable in the mountains. Combining freedom of movement with high durability, and DWR treatment on knees and seat for moisture protection.